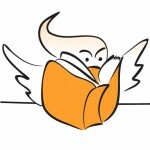 There are some picture books that bring as much delight to the adults reading them as they do to the children they’re for. And when forced to read the same book multiple times (a day), it certainly helps if these books are enjoyed by all involved! Dogs can be pretty inconvenient when it comes to waking up in an adequate manner. And when you’re trying to make breakfast dogs can get in the way. 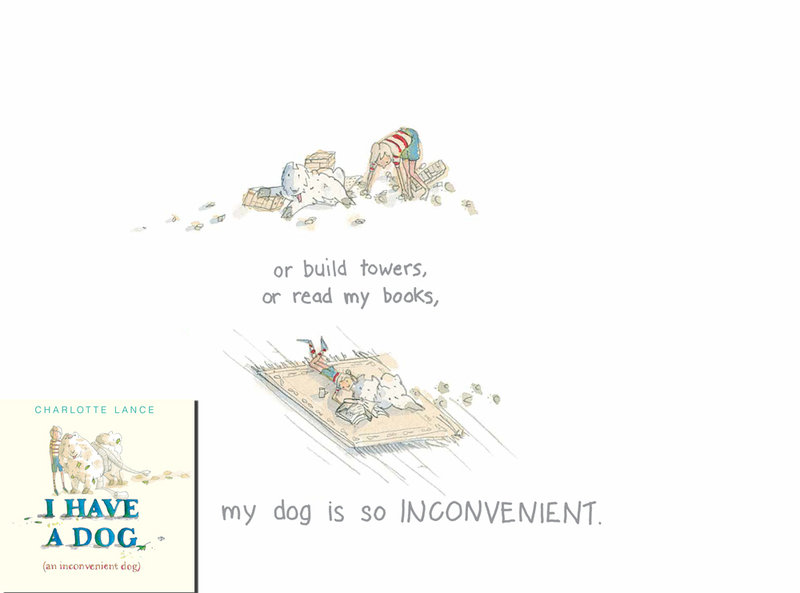 Similarly, when you want to do anything that isn’t playing with them, like reading, dogs can be pretty inconvenient. Dogs make a handy scapegoat when you break something. Dogs are also useful when you don’t want to eat something. 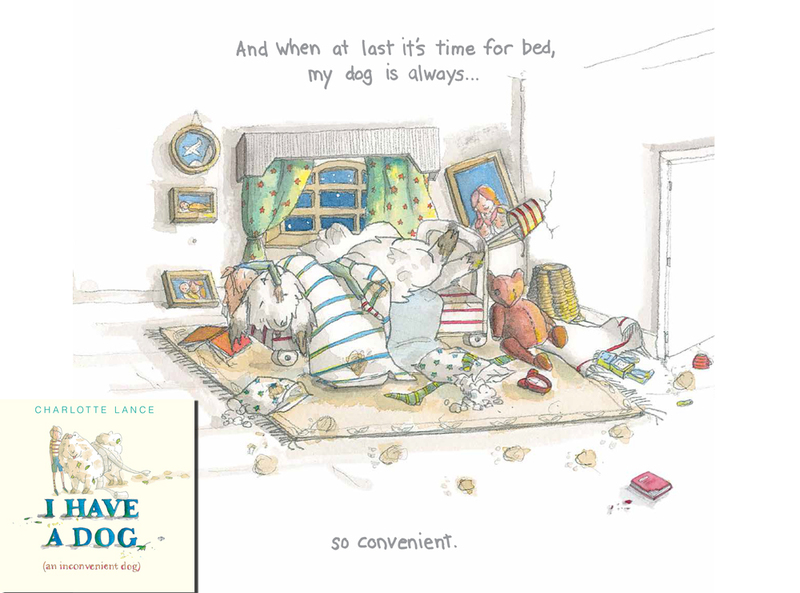 Dogs are very useful when it comes to cosiness at bedtime, particularly in winter. Do any of these traits ring true with you? Charlotte Lance has done it again. 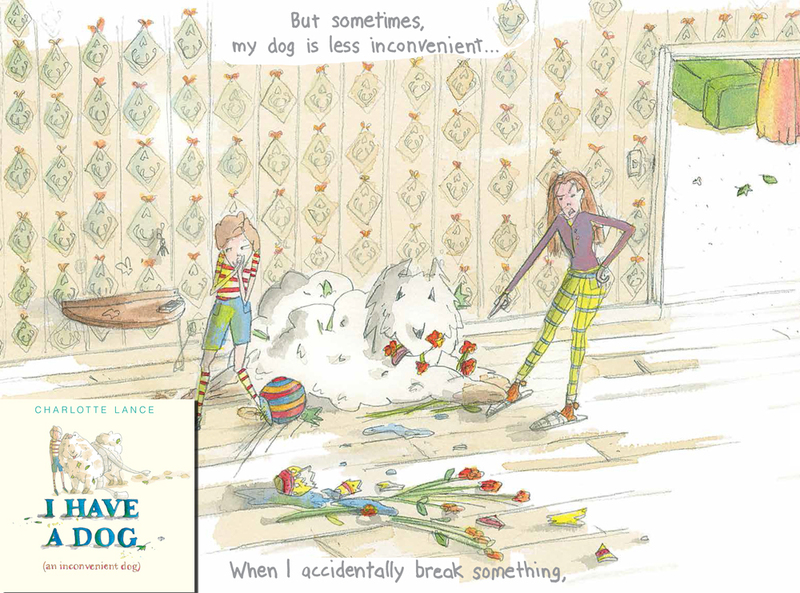 She has created a gentle, humorous story from a familiar slice of life. 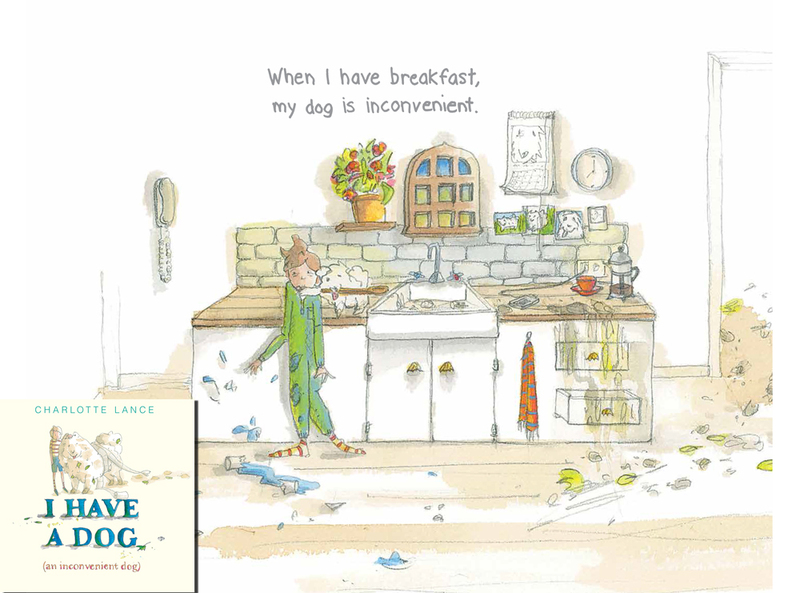 Young (and not-so-young) pet-lovers will be captivated by this book as they identify with the familiar trials of owning an exuberant dog. 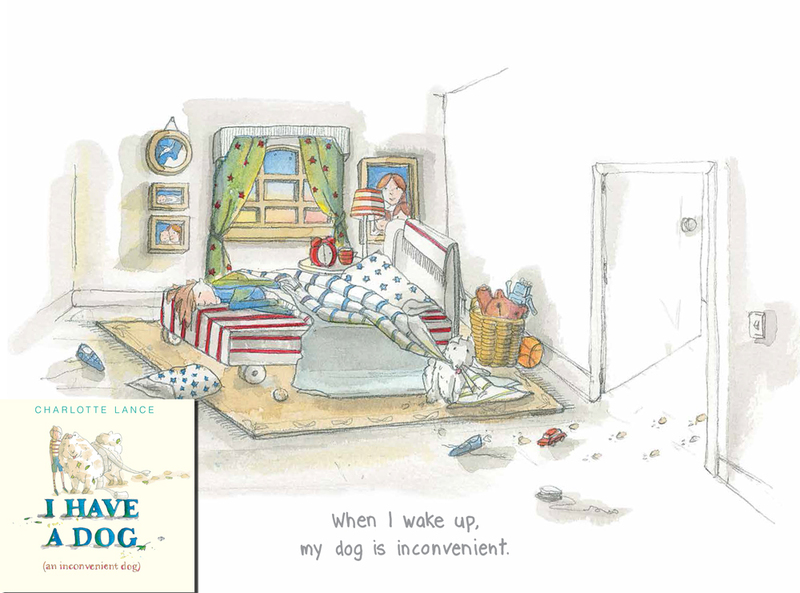 I Have a Dog (an inconvenient dog) will touch the hearts of many as they follow a young boy through a day with his dog. 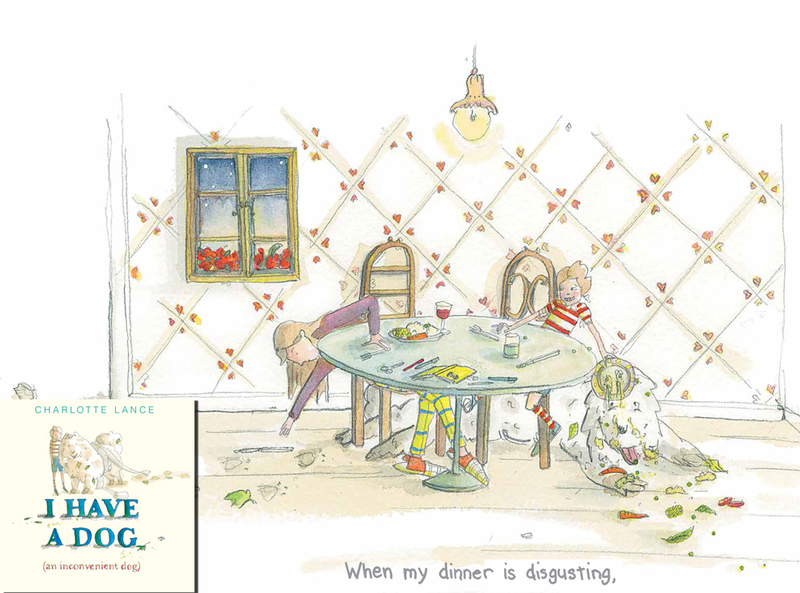 This picture book, illustrated in soft watercolours, is a realistic look at the chaos of pet ownership balanced by the comfort and companionship that animals bring.